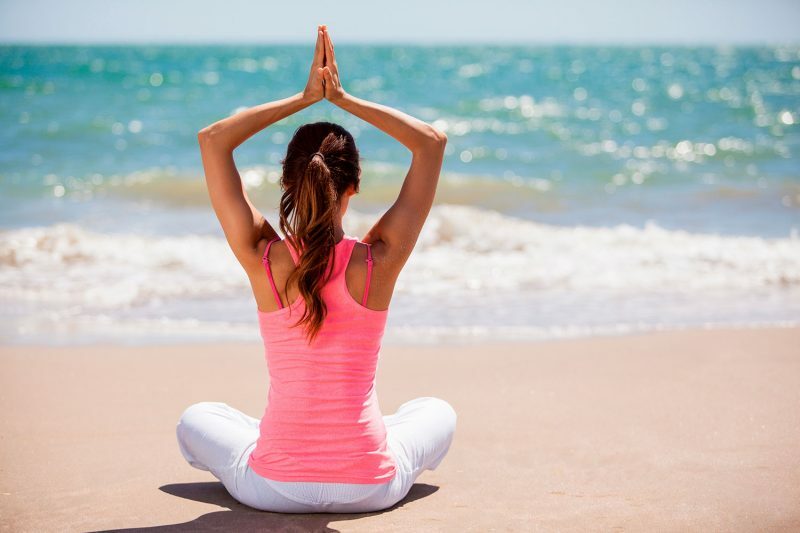 Whether you’ve been practicing yoga for one day or one decade, you’ve likely heard some pretty lofty claims about what yoga can do for you mentally, physically, and spiritually. From aiding people with clinical depression to helping people lose weight, yoga is an amazing exercise that is rooted in ancient philosophical wisdom. And while that wisdom was penned by Patanjali in the Yoga Sutras long ago, the philosophy of yoga is still an open cannon. One thing Western science and medicine is contributing to that open cannon are several scientific studies that prove what yogis have intuitively felt and known for thousands of years. In the last 10-15 years, there have been so many studies centered on yoga it can be hard to keep track. One particularly interesting study was done by reasearchers at Boston University School of Medicine in May of 2012. The study was run by Christ Streeter, PhD and had an insanely long title: “The Study: The Effects of Yoga on the Autonomic Nervous System, Gamma-aminobutyric-acid, and Allostasis in Epilepsy, Depression, and Post-traumatic Stress Disorder.” While that title is quite a mouthful, it’s definitely worth looking at. In short, Dr. Streeter was interested in seeing how yoga regulates the nervous system, and what she found was fascinating. Namely, yoga regulates the nervous system by increasing vagal tone, which is the mechanism the body uses to regulate stress. For something so important, the vagus nerve is pretty small. Otherwise known as the pneumogastric nerve, the vagus nerve is the tenth cranial nerve. According to Wikipedia, the nerve has parasympathetic control of the heart, lungs, and digestive tract. The word “vagus” comes from the Latin language, and means “wandering.” This etymology kind of makes sense considering how many areas of the body the vagus nerve connects to. The vagus nerve is just one nerve on the automatic nervous system along the spine, but it is the longest. The vagus nerve serves many functions in the human body. It is located just at the base of the spine and connects to many organs. It is responsible for your heart rate, sweating, gastrointestinal peristalisis, and the movement of mouth muslces that allows you to speak. The vagaus verve also connects to the inner ear, and if you have ever coughed while cleaning your ears with a cotton swab, that is an example of the vagus nerve at work. Perhaps one of the most important effects the vagus nerve has is it’s connection to the heart. The vagus nerve controls the heart rate and is activated during times of intense emotional stress. During these times, there can be a sudden drop in cardiac output, temporary loss of bladder control, and the onset of depression. What is “Low Vagal Tone”? If you have low vagal tone, you might find you are more susceptible to stress and suffer from things such as weak digestion, an irregular heart rate, and extreme mood swings. Low vagal tone is strongly linked to conditions like chronic stress, depression, anxiety, and body pain. As if those conditions are not bad enough, low vagal tone is also associated with heart attacks, loneliness, negativity, inflammation, and overall poor psychological health. Many people who have suffered from chronic diseases experience a low vagal tone. Additionally, low vagal tone is connected to conditions like epilepsy and post-traumatic stress disorder. Thankfully, no matter what your constitution is, you can tone your vagal nerve using yogic exercises. What Are The Benefits Of Toning The Vagus Nerve? Believe it or not, some people have a naturally toned vagal nerve. These people tend to be more resilient towards stress and have an easier time keeping their body and mind in balance. One key feature of someone with a healthy vagal tone is that they can alternate between states of excitement and relaxation without getting flustered. Overall, healthy vagal tone is connected to emotional stability, low inflammation, healthy digestion, and a lowered risk of heart attack. It used to be that if a human being encountered stress in the wild, it was over within a few minutes or even seconds. But with the advent of technology and the demands of modern life, stress is much more prevalent. It is possible to feel the fluctuation of vagal tone throughout your life. When you have high vagal tone, you will be able to balance the inevitable changes life brings with more energy and ease. According to Dr. Steerer who conducted the research, “Western and Eastern medicine complement one another. Yoga is known to improve stress-related nervous system imbalances“. What Are The Effects Of Uncontrolled Stress? If you are one of those people that think that stress is an inevitable part of life, consider how harmful stress really can be to your body. Whether you work in a demanding job or have a lot of financial strain, it is important to assess ways to reduce your stress. Why? The truth is, stress is not only harmful, the effects can actually be passed down to your off-spring, making them more susceptible to stress in their life. Just look at this documentary, Stress Portrait of a Killer. In the documentary, researchers break down how stress impacts your immune response and causes the deterioration of your brain. Stress can show up as a myriad of symptoms. It can trigger headaches, depression, heartburn, insomnia, stomachaches, and fertility issues. Stress also releases a ton of chemicals in your system that raises blood pressure and blood sugar, and increases the risk of heart attack. Treating and eliminating sources of stress are important; your life might depend on it! Doing things like strengthening your vagal tone through yoga can provide an incredible benefit in your life. As proved in the study by Dr. Steerer’s study at Boston University School of Medicine and several others, the physical postures, breath work, and meditations used in yoga can change your life. In the study conducted by Dr. Steerer, the researchers tested a handful of practices that they believed would increase vagal tone. While many practices were put to the test, one of the first was resistance breathing, otherwise known as ujjayi pranayama breathing. This type of breathing is traditionally done in Vinyasa yoga classes or during the Sun Salutations sequences. There are many ways to increase vagal tone using yoga practices. The vagus nerve is located at the base of the skull, but extends down to the chest and heart area. Any yoga poses that send energy to the vagus nerve will in turn improve your circulation and lung capacity. Inversions are incredible for strengthening the vagus nerve, and contrary to popular belief, you do not have to be super buff or a professional yogi to do them! An inverted yoga pose is any pose that changes your body’s relationship to gravity. Some great examples of gentle inversions include Legs Up the Wall and Shoulder Stand. Both of these inversions are excellent for reducing stress and can be practices by almost everyone. Another good inversion to try is Handstand; this pose is more invigorating than Legs Up the Wall, but offers many of the same benefits. It’s also a great pose for treating depression. Backbends can add a wonderful lightness to your yoga practice. They help uplift and energize you and they also are great for balancing hormones. This could be because of how backbends interact and stimulate the vagus nerve. Some wonderful backbends to add to your yoga practice are Full Wheel Pose and Camel Pose. 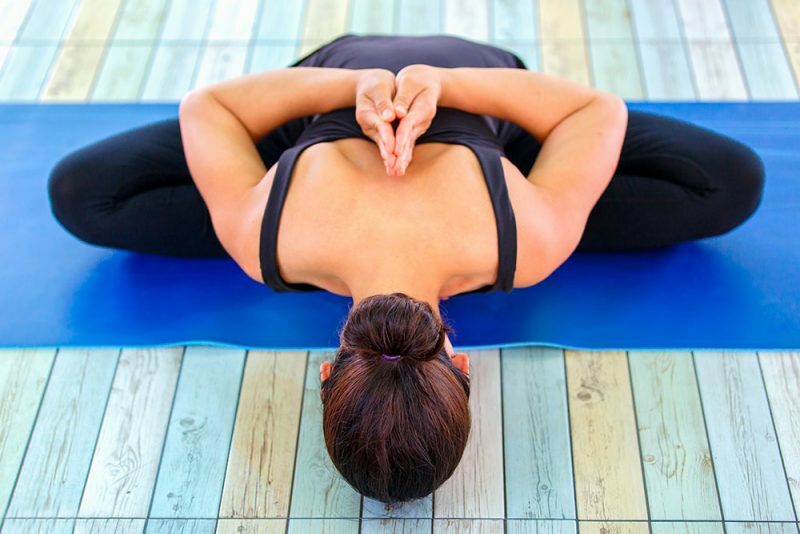 If you are just starting out with yoga or if you have a sensitive back, you can also use a yoga bolster to do gentle backbends, or try doing your backbends over a chair. You can also turn standing poses like Mountain Pose and Tree Pose into slight backbends by lifting your arms up and back. Considering that researchers in Dr. Steerer’s study looked specifically at ujjayi breathing, any type of Vinyasa or flow yoga is going to do wonders for your vagal tone. Particularly the Sun Salutations, as those combine slight backbends and mindful breathing, both of which are proven to help relieve stress. As proven in the study, Vinyasa yoga stimulates the vagus nerve with carefully timed inhales and exhales, and activates the parasympathetic nervous system. Additionally, a flow sequence is the perfect practice to warm your body up for inversions. One of the most common recommendations for stimulating the vagus nerve is through dynamic diaphragm breathing. When your body is in fight or flight mode, your breathing is quick and shallow. To switch into the parasympathetic nervous system and activate the vagus nerve, try pranayama after you have opened and warmed your body through yoga asanas. One method that is excellent for releasing stored trauma is to breathe deeply in, hold for a count of 3, and exhale longer than the inhale. Focusing on the exhale and lengthening it will shift you into parasympathetic activation.